Do you watch Lifetime? This week, the network announced the premieres of the their upcoming TV shows Glam Masters and My Partner Knows Best. Executive produced by Kim Kardashian West and hosted by Laverne Cox, Glam Masters “puts beauty influencers and makeup artists through themed challenges allowing them to put their best face forward to impress Cox, celebrity makeup artist Mario Dedivanovic, YouTube makeup expert Kandee Johnson and co-founder of Milk Makeup and Marie Claire Senior Fashion Editor Zanna Roberts Rassi.” The show debuts on February 28th at 10 p.m. ET/PT. A game show, My Partner Knows Best is hosted by Jason Biggs and Jenny Mollen and puts married couples to the test “as they compete in a series of hilarious challenges based on real-life relationship obstacles.” The series premieres on Lifetime on April 25th at 10 p.m. ET/PT. 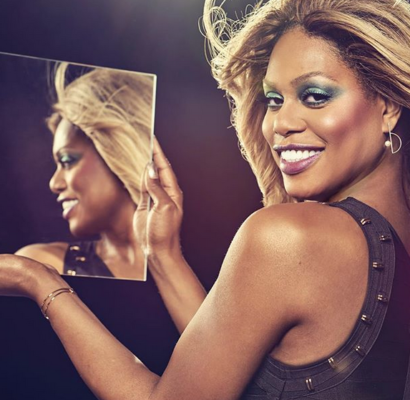 Get your brushes and contour kits in hand for Lifetime’s new beauty competition series, Glam Masters, hosted by Emmy® Award nominee Laverne Cox. The eight-episode series puts beauty influencers and makeup artists through themed challenges allowing them to put their best face forward to impress Cox, celebrity makeup artist Mario Dedivanovic, YouTube makeup expert Kandee Johnson and co-founder of Milk Makeup and Marie Claire Senior Fashion Editor Zanna Roberts Rassi. Each closed-ended episode will feature four beauty bloggers who will go head-to-head to prove they have the talent, charisma and vision it takes to be the next big name in the beauty world. The winner each week will qualify to advance to the semi-finals where the best will battle it out in the Tournament of Masters finale. In the end, only one of these beauty-obsessed bloggers will get to claim the title of Glam Master.Glam Masters is produced by Shed Media, a division of Warner Bros. Unscripted and Alternative Television, for Lifetime. Kim Kardashian West and Diana Madison executive produce. Pam Healey, John Hesling, Dan Pierson and Colleen Sands executive produce for Shed Media, while David Hillman and Kim Chessler executive produce for Lifetime. Laverne Cox serves as co-executive producer. What do you think? Are you a fan of Lifetime’s programming? Will you watch My Partner Knows Best and/or Glam Masters? More about: Glam Masters, Glam Masters: canceled or renewed?, Lifetime TV shows: canceled or renewed?, My Partner Knows Best, My Partner Knows Best: canceled or renewed?